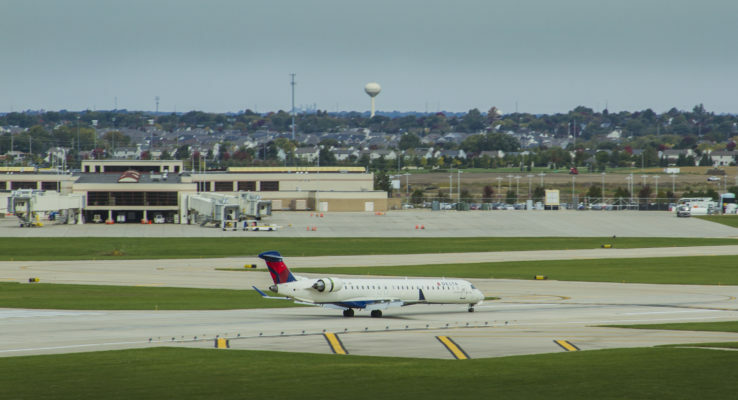 (Bloomington, IL) The Bloomington Normal Airport Authority Board of Commissioners is excited to announce that the Central Illinois Regional Airport at Bloomington-Normal (BMI) has achieved a perfect review from the FAA as part of its Part 139 annual inspection. It is the seventh time in the last eight years the airport has received a perfect inspection. The inspection is a requirement for all airports that serve scheduled and unscheduled air carrier aircraft with more than 30 seats and are required to have an Operating Certificate from the FAA. Airport Operating Certificates serve to ensure safety in the operation of aircraft on the airfield. To obtain and retain a certificate, an airport must meet certain operational and safety standards, including but not limited to the areas of pavement, markings, lighting, ground vehicle operations on the airfield, and wildlife management. Also inspected are the airport’s fueling operations and facilities, the aircraft rescue and firefighting personnel training records, response times and equipment.